As we begin our 6th season as the Radio Home for North Davidson we'd like to thank everyone who has made it possible to provide fans from across the world live play by play of North football, basketball, softball and baseball. Our team takes pride in producing the most professional sounding broadcast it can while keeping in mind the games are all about the student-athletes who play them, their families and the fans on both sides. We've been blessed during our time to cover some of the most memorable moments in Black Knight history and do not take those times for granted. None of this would happen without you the fans and our sponsors so thank you from everyone at the Knights Sports Network. Please take pride in knowing North Davidson is the only school in Davidson County to have its own broadcast crew. Our goal is to continue to be an extension of a program made up of student-athletes who strive for excellence on and off the field and make us all proud to be Black Knights. The broadcast season begins with the defending Central Carolina Conference Football Champions who finished 13-2 a year ago. In the process the Orange and Black won 13 straight games while boasting a perfect 8-0 record at the Castle. All of that on their way to reaching the Western Regional Finals. For football we will continue to with our one-hour pregame show to enjoy while tailgating or traveling to games. Fans will get sixty minutes packed with players and coaches interviews, a preview of our contest as well as others from around the area, the Black Knights starters introducing themselves, keys to the game and much more. Mike Griffith is back for his second season in the booth after helping paint the picture for North Football, Baseball and Softball broadcasts in the past. The newest member of our crew is Lady Knight Softball standout Haden Womble. Along with bringing fans closer to the action she will also produce score updates and on-the-field interviews. Another familiar voice for North fans will include Public Address man Brad Greene who has handled multiple tasks on the air over the last few seasons. Joining them for his sixth season as the play by play voice of the Black Knights is Enoch Davis. In the Winter fans can listen to select Girls and Boys Basketball games before we rotate Softball and Baseball broadcasts throughout the Spring. We are confident you will be pleased with the quality of our professional sounding broadcasts and look forward to helping you promote your business. 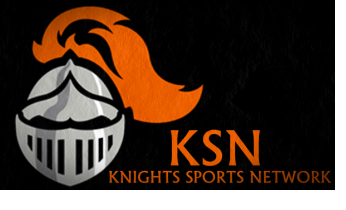 This season Knights fans will be able to listen live online through this site as well as on any mobile devices with the free Mixlr app by searching “knights sports network”. Also, audio archives of each contest will continue to be available on the site. If you would like to be a part of the team by advertising during games this season please email northdavidsonradio@yahoo.com for more information. Thank you and Go Black Knights!